Trade winds blow from Europe almost directly to Puerto Rico, so the island became a gateway to the new world. The location of this colony gave the Spanish control over the ship traffic headed to the Americas. This strategic and lucrative port was something Spain’s enemies coveted. As the result of numerous attacks over the years, the small colony grew into a thriving city surrounded by a formidable defensive system. This included numerous forts, miles of wall, and other fortifications placed across the islet. The two forts nearest the old city, Castillo San Filipe del Morro and Castillo de San Cristóbal, as well as a large section of the connecting wall are now under the care of the National Park Service. The rest of those original defenses have either been torn down as the City grew, or have been abandoned. As you explore the islet, and nearby shoreline, you can still find ruins of the once impregnable fortress. Among these ruins is Fortín de San Gerónimo on the far eastern point of the islet. The fort was used to protect the eastern entrance of San Juan Bay, as well as the Martín Peña Bridge that connects the islet to the rest of the island. The fort repelled a number of attacks, including a two week siege by the British in 1797. Now, despite being included on the National Register of Historic Places, the fort is in a state disrepair. One day while I walked back to our hotel in Santurce from the historic city, I decided to walk over and see if the fort was accessible. As I got close I saw two men working on the fort's bridge, as well as a barricade at the fort's entrance. While I was considering the situation, and trying to decide if I should continue on my way, one of the workers noticed me and waived me over. The man introduced himself as Juan, and shared the history of the fort. Juan is an underwater archaeologist for the commonwealth of Puerto Rico, and after decades of watching the fort go neglected, he decided that it fell under his jurisdiction, and began the long process of restoration. After we talked, he offered to let me to take a quick walk through the fort. It was fantastic! Because the fort is closed to the public, I don't know how frequently people get to go into it (legally), so I jumped at the opportunity to look around. One of the many bridges that now connect the Islet to the rest of the island, Dos Hermanos Bridge, allows for a walking/biking path between Santurce and Old San Juan. It is a nice walkway that I followed a handful of times. It is about a 45 minute walk each way: longer when you're taking pictures! 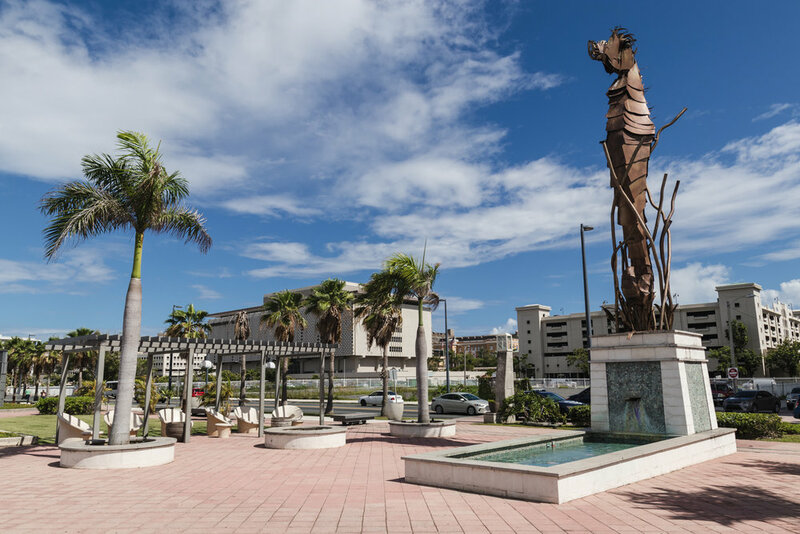 There are a number of points of interest along the route including parks and beaches, the Puerto Rican Hall of Fame, ruins, and the Purto Rican Capital Building. 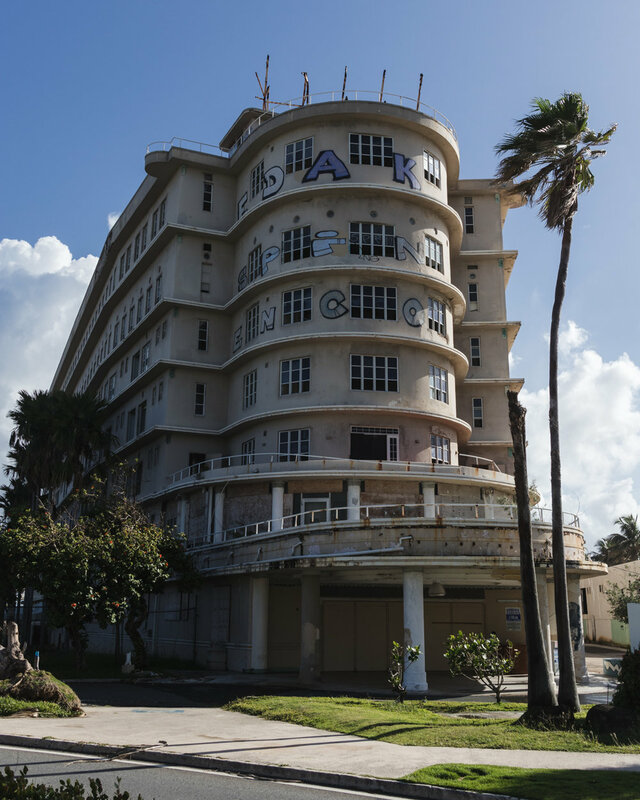 As you near the historic part of the islet, things begin to change. The roads become more narrow with tiny sidewalks, and the buildings take on a decidedly more Spanish influence. The city was built on a hill, so there are a number of steep streets that make for good exercise as you walk around and enjoy the colorful buildings and plazas. 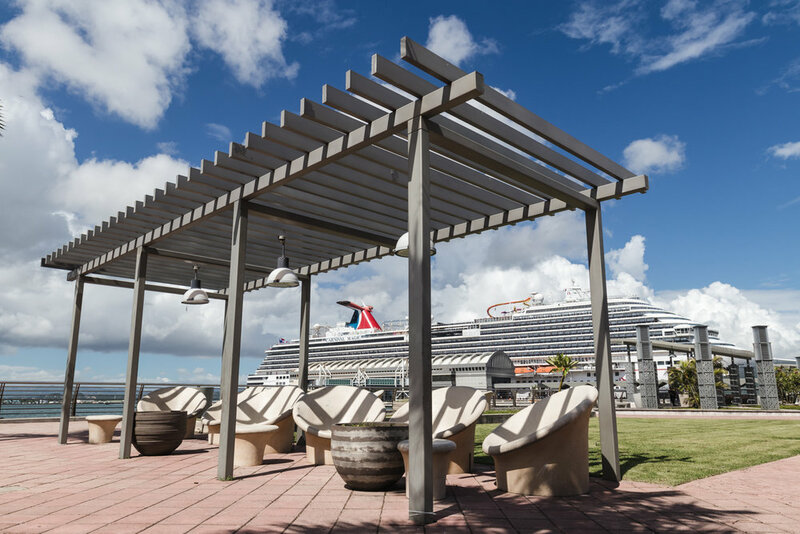 The old city has a handful of distinct sections, from the forts and defensive wall along the north, the cruise ship port to the south, and Old San Juan itself situated between the two. It was a lot of fun exploring the neighborhood. I was worried it would be hard to photograph because of the narrow streets, but by focusing more on smaller scenes I was able to create photographs I am happy with. One of the highlights of this area is the Capilla del Santo Cristo de la Salud, a small chapel dating back to 1753. Baltazar Montanez lost control of his horse and fell from a cliff. The story goes that, he miraculously survived, and constructed the chapel in the exact spot he fell from. I was unable to go inside because the chapel is only open on Tuesdays, but it is supposedly lined with small silver medallions that visitors have brought seeking miracles of their own. 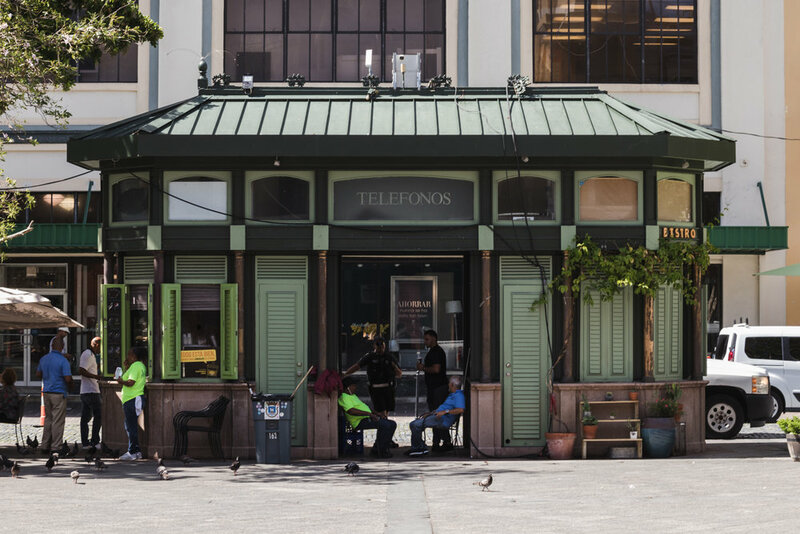 Old San Juan, or Best San Juan? There was so much of Old San Juan the I loved. The food, the forts, the ruins, the colors, the plants and plazas; it may have been my favorite place to walk around in San Juan. There was so much to see, and it was a great place to photograph despite my early reservations. 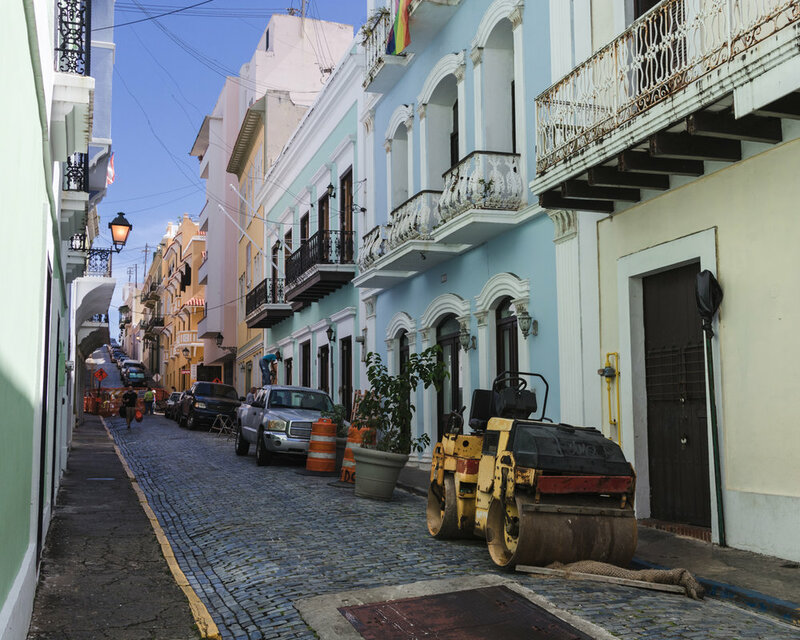 Next time I am able to visit Puerto Rico, I think I would want to stay in Old San Juan.